I Have been importing and selling these for many years now and they are very popular. Ideal for your man cave or games room. 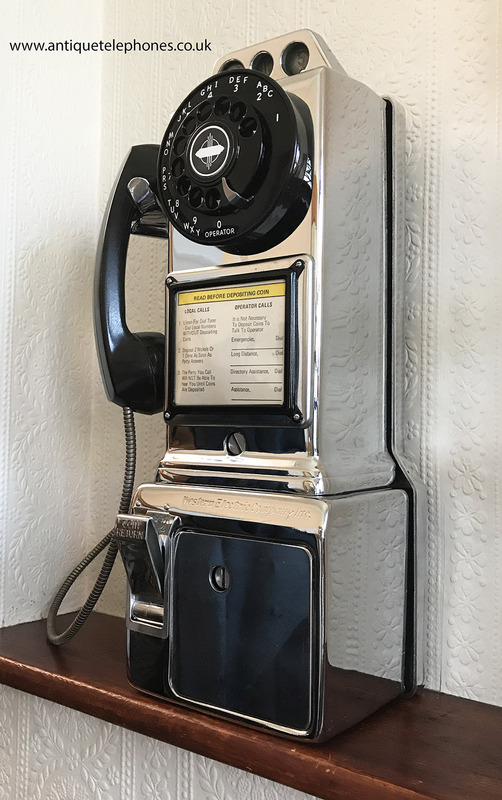 This telephone is very heavy and made from chrome plated metal. It was made in the USA. 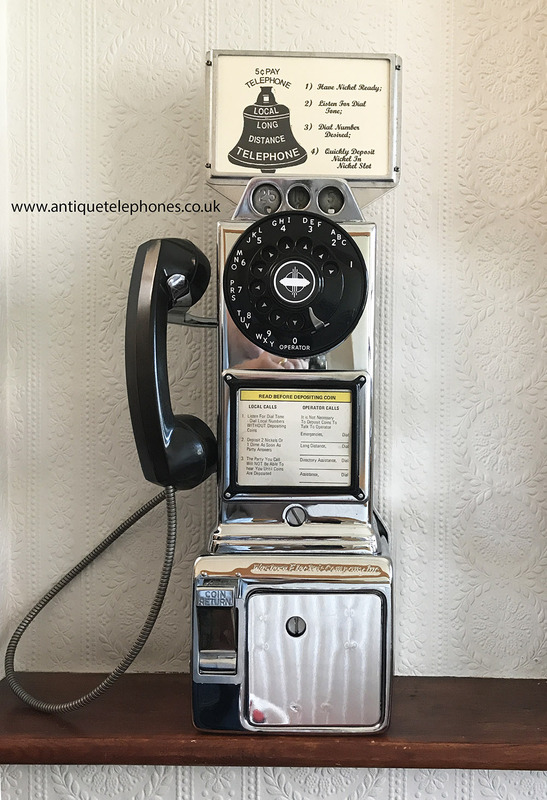 Many of the parts have been remade by the original manufacturers and some are original to produce a wonderful telephone. 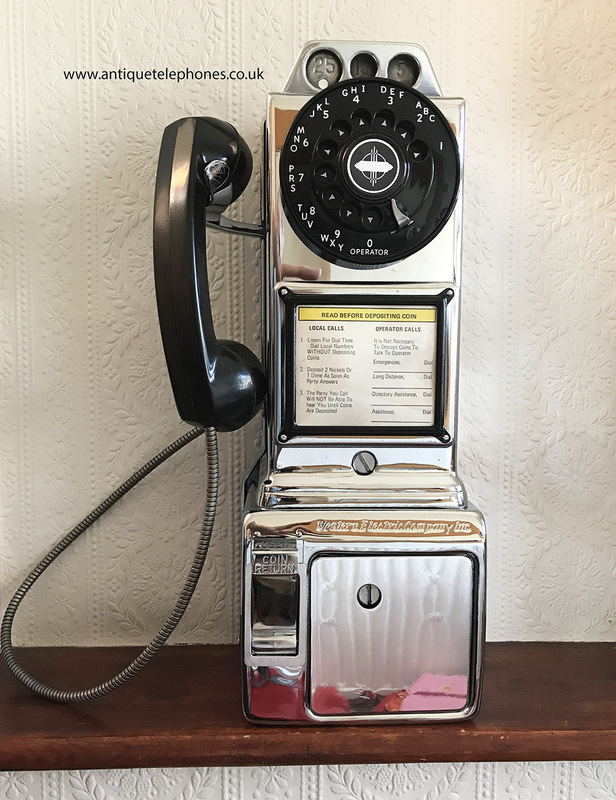 The advertising notice on the front of the telephone may not be the same. 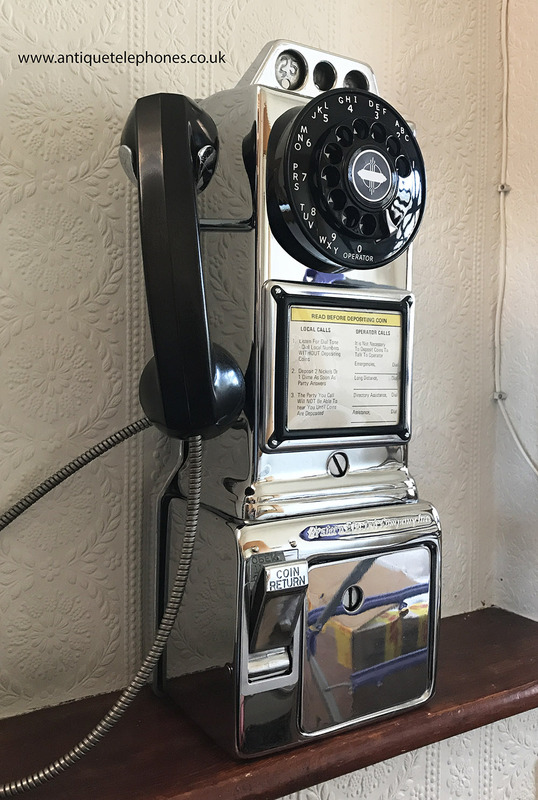 Some of the parts are from original dial telephones. It is fully working and ready to simply screw to the wall and plug in to the UK telephone system. Note the lovely advertising frame can be purchased as an optional extra at the checkout. Please see the bottom right picture with one fitted. The coin mechanism is not operational but if you put coins in they will drop through to the base and make a wonderful ding. This is a lovely quality, well made telephone. It weighs over 8Kg and so make sure you have a secure wall to fix to. It is not essential to mount to a wall and the one shown in the pictures is sitting on a shelf in an alcove in my own home. It is fully working to both dial out and receive perfectly. Note if purchasing the Top Advertising Frame the adverts will not be the same as in the picture.